Over the past few decades, the world has witnessed a major shift in the high-tech field. From being just a ‘wanted aspect’, it has slowly become a necessity in our everyday lives. New-age technology has made everything more convenient and efficient, regardless of the industry involved. The computer-aided revolution has made a large impact on the manufacturing world as well. Automated equipment has given us the ability to produce a more precise part in a much shorter time. While CNC machines date back to the late 1950s, they continue to evolve and enhancements are made on a continuous basis. Modern CNC lathes give the operator the ability to produce a part with milled and cross-drilled surfaces. Something that was unavailable just a short time ago. CNC Machines have allowed us a more hands-off approach. Parts can be completed on one machine in one set-up with very little human intervention. Machines can now run lights out; 24 hours a day seven days a week. 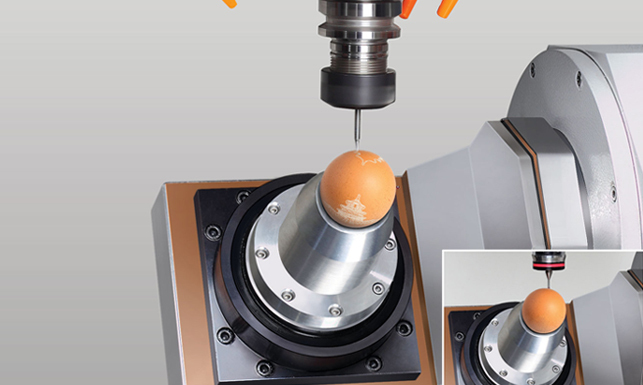 The equipment can be fed by robotic arms or magazines that hold multiple lengths of raw material. Human error has greatly decreased with the use of this high-tech equipment. With these machines being handled by computer controls the chances of non-conforming parts being produced has been greatly reduced. If the machines are programmed correctly from the start and tool wear is monitored, the repeatability of conforming CNC machined parts should be over 99%. Gone are the days when each part was physically manipulated in a turret lathe or manual mill in hopes of achieving repeatability. Multi-axis machines have allowed us to machine parts to greater tolerances and with more complex features. This is something that was very difficult to achieve just a short time ago. The equipment is ready to work every day with just the push of a few buttons. It rarely gets sick and only requires some maintenance and the occasional repair part. The machines are ready to work 24 hours a day. Machines today require much less human interaction and are able to produce parts faster and with more accuracy. CNC machines are amazingly accommodating. The machines will constantly evolve and new innovations will continue to be introduced. Today we can work with all types of metals and plastics in an efficient and accurate manner. Milling Machines: Widely popular. In fact, they might even be the most popular type of CNC machine used today. Milling machines utilize rotary cutters to shape workpieces to perfection. They can be programmed to provide the required depth, angle and cutting direction. CNC Lathes: A lathe is utilized to develop highly precise conical and spherical shaped parts. This particular machine uses turning centers wherein the cutting tool shaves off the excess material while the material is rotating on a spindle. Drilling machines: CNC drills are highly advanced drilling machines where the speed of the drill and the depth to be drilled is handled by highly sophisticated computer programs. Screw Machines: Screw machines are the advanced version of automated lathes. They are used to produce smaller yet complex machined parts for automotive, aerospace, medical and electrical hardware industries. CNC Grinders: This type of machine utilizes a rotary wheel that abrades the material into the desired shape by repeatedly grinding it. CNC Plasma Cutters: Plasma cutters uses plasma beam to cut the materials into 2D shapes. CNC machining has revolutionized the whole Manufacturing industry and it is still improving. It will be quite interesting to see where it can take us in the years to come!! !